Hey everyone! I’m so excited to share that I’ve finally started my YouTube channel! I’ve been thinking about it for ages and am really happy I’ve actually been able to execute a few videos so far. I wanted to share my first video with you here! I won’t be using my blog purely to post … More My First Video! 2 Comments My First Video! Changes! New Name, Updates, Etc. Hey everyone. 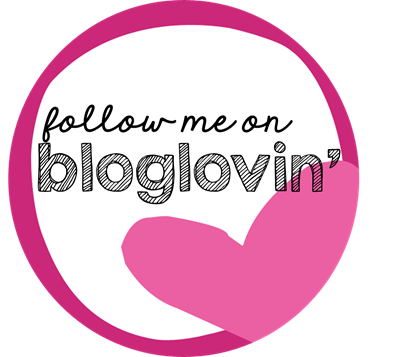 Just wanted to write a quick post to share that I will be making some changes to the blog including the name! So in case you notice that acasualbeauty is no longer around, I’m definitely still here and this will still be the same blog but with an updated title. I’ll include the story about … More Changes! New Name, Updates, Etc. Leave a comment Changes! New Name, Updates, Etc. Hey everyone! The lovely Sierra from The Glam Gala recently requested that I write a post about how to apply false eyelashes which I am happy to share with you today. Hey everyone! It is October and that means Halloween is officially right around the corner! I have always liked Halloween and this year, I wanted to bring you all some really fun makeup looks! For my first Halloween look of the season, I wanted to recreate one of the lovely little creatures I see quite … More October Means Halloween! 10 Comments October Means Halloween! Hi everyone!! I recently took a trip to Rite Aid and Walmart and I wanted to show you what I got! They had a bunch of sales going on when I went to Rite Aid and the two that I took advantage of was 40% off Revlon and 40% off Wet and Wild! Since it … More Mini Haul! Hey Everyone! If anyone is looking for a super cute last minute Halloween Costume, I think this is great! It can totally be made with things you probably have at home. I must say, I did get some inspiration from a picture I saw on Pinterest. I used my normal foundation, which apparently, I didn’t … More Scarecrow Halloween Makeup!!! 12 Comments Scarecrow Halloween Makeup!!! Hey everyone! I am back with another Halloween makeup look! For this look I wanted to recreate Elsa from Frozen. My husband and I so love Frozen and do indeed own a stuffed Olaf. Elsa is young and fresh, and lets not forget an ice queen. I wanted to keep the skin for this look … More Elsa Halloween Makeup!!! 22 Comments Elsa Halloween Makeup!!! Hey friends! For beauty lovers, some of the most notable things about cosmetic products during the holiday season are holiday sets, collections, and limited edition products.